Welcome to new and returning viewers – I hope you enjoy the show. Thank you to our Patreon subscribers of the show for keeping the show on the air month after month. You make all of this possible! Thank you for tuning in this week. Welcome to new viewers and welcome back to returning viewers. Particular thanks to our Patreon subscribers, who keep the show on the air month after month! This week, I share my progress on my two handspun pairs of socks I’ve been working on for what is starting to feel like forever! After I finished recording, I actually did finish one pair so I’ll have those for next time we record! 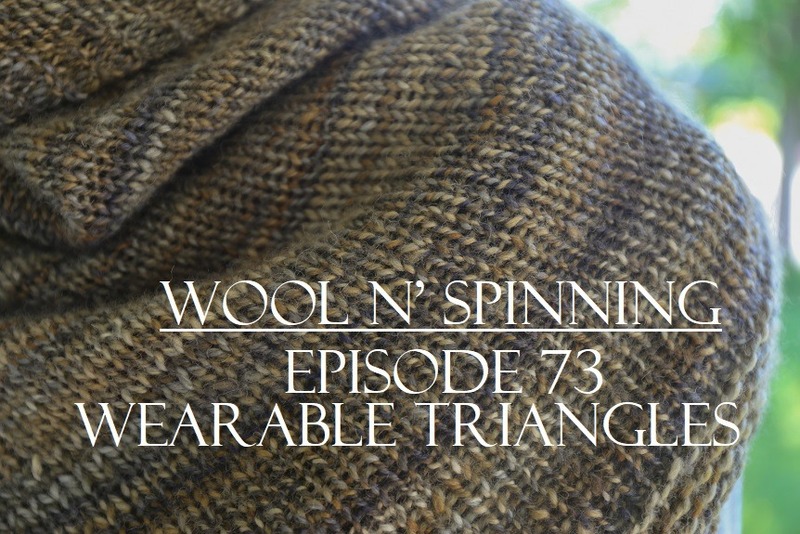 I chat about a quick spin and knit that I completed over the weekend for SweetGeorgia Yarns. Lastly, I share a finished object that I blocked last week: My Smith & Ewe SW BFL vanilla shawl v2.0. I absolutely love how it turned out. Enjoy the show! Ravelry Group can be found here – please join! We reached1000 members and there might be a little giveaway in the coming weeks to honour this massive milestone. 1. Vanilla shawl out of Smith & Ewe BW BFL pencil roving here. 2. Handspun fugly socks here and speckle-dyed here. 3. Big wheel-spun combo spin that I’ve been working on quietly – project page here.